Centrio is a leasehold mix development consist of SOHO suite, office suite & retail store, located at Pantai Hill Park, Bukit Kerinchi, Kuala Lumpur. It is developed by Syarikat Kemajuan Perumahan Negara (a subsidiary of YTL Land & Development)and was completed in 2010. Centrio is near to amenities such as shopping mall (Mid Valley City and The Gardens Mall), public transportation (LRT and KTM), colleges (Universiti Malaya), and schools (Seri Pantai Secondary School, Bangsar Primary School and Seri Pantai Religious Primary School). 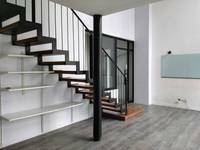 This property is accessible via Jalan Bukit Angkasa, Jalan Kerinchi and New Pantai Expressway. Get me good deal if there is any units available in Centrio.